The other day, I was playing around in the studio, working on upcoming projects for a class. Sometimes, like that day, the idea I have just doesn't work out for some reason, but that doesn't mean it's not a good idea, so the stamped piece goes in my "serendipity pile". And since it was on the TOP of my serendipity pile, when I needed a quick thank you card the next day, it's what I pulled out to work with. 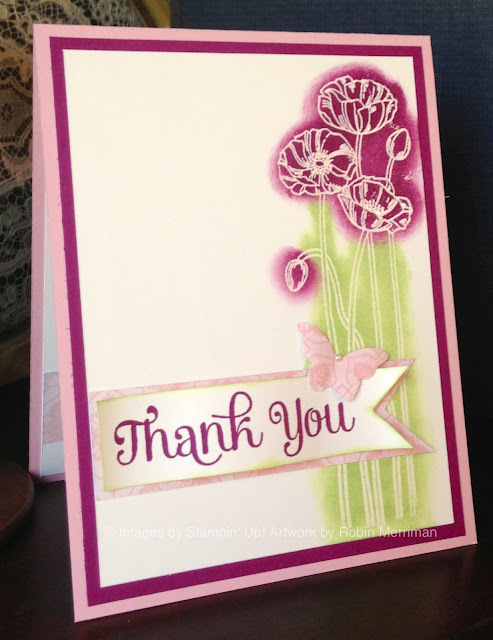 For this card, I only inked up one side of the Pleasant Poppies background stamp with Versamark ink. It's heat embossed with Clear Embossing powder and then I used my sponge daubers to add Rich Razzleberry and Pear Pizzazz ink to bring up the image. I really adore this technique - it's always so gorgeous and a delightful surprise when you are inking over the embossing. My color palette is Blushing Bride, Rich Razzleberry, Very Vanilla and Pear Pizzazz. I used Blushing Bride retired designer paper for the banner layer and for the Bitty Butterfly punch out. The greeting is from the new Four You stamp set. 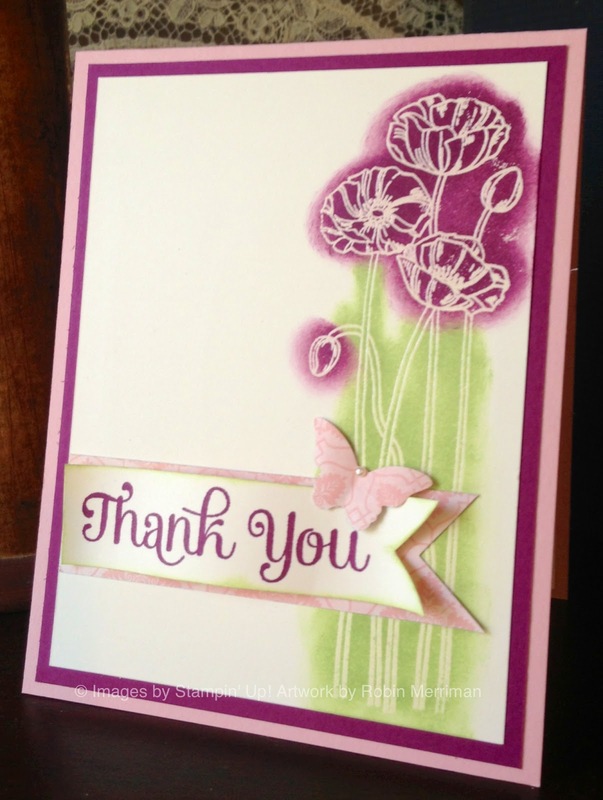 All in all, a very simple card, yet lovely just the same.